Now that my younger one has started with his preschool/playgroup I prefer to pack easy and less messy to handle foods in his tiffin. 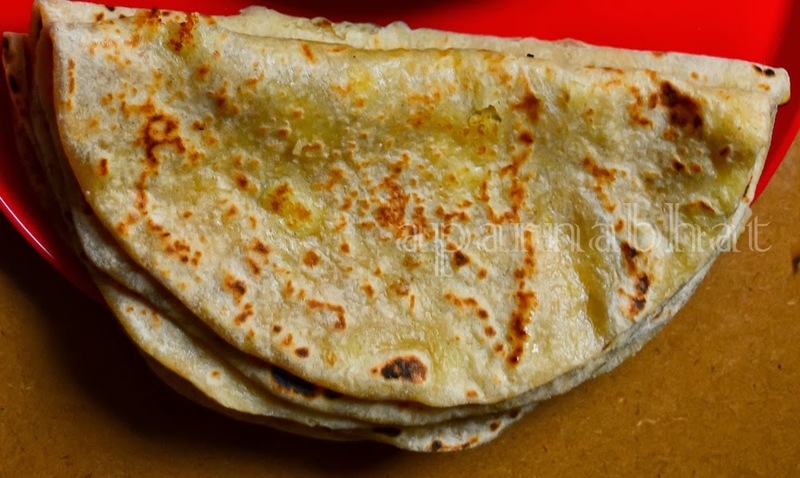 Stuffed parathas is one such food because apart from being less messy this is one wholesome meal by itself. I try different variations by adding different spices and veggies and each variation is loved at home. Kids can have them anytime and want it every time :). I have already posted the recipe of Aloo paratha and you can read it here. 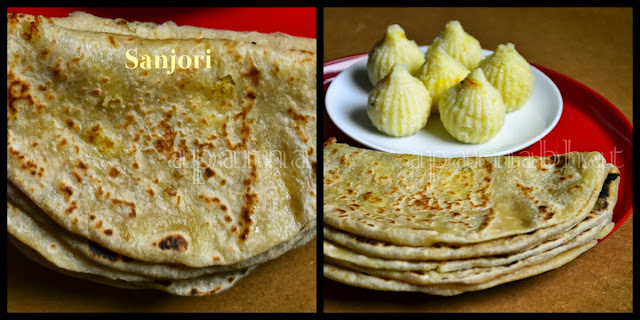 Sanjori is almost similar to north indian stuffed parathas. We can find the difference only on tasting as the stuffing in this paratha is sweet sheera (roasted semolina halwa). I remember tasting these polis for the first time from my friend's tiffin during my school days and she used to call them as sheera poli. I thought let me try making them for my kids tiffin too. And so yesterday I made these polis with sweet stuffing. I adapted SK recipe from here. The outer covering is usually made of maida/APF but I have replaced it with wheat flour, obviously to make the dish healthy. While browsing for more details on sanjori I read about the difference between sanja and sheera [either of them can be used as stuffing in this dish] explained in simple terms by Anjali of Anna Parabrahma which you can read here. You can make these polis more flavored and nutritious by adding cinnamon powder to plain sheera or adding drynuts like chopped cashews and raisins. You can also try adding some fruits in the stuffing eg mango sheera, pineapple sheera or apple sheera. Saffron threads soaked in 1 tbsp of warm milk. Prepare the dough as you prepare for regular chappatis. Cover and keep aside allowing the dough to rest for 30 minutes. Meanwhile heat ghee in a deep pan. Add semolina/ rawa and roast it evenly on low flame until you get a nice aroma. This will take about 4-5 minutes. While you are roasting the semolina, add sugar and milk in another vessel and heat it till the sugar dissolves completely. Once the semolina gets roasted nicely add it to the milk+sugar syrup little by little stirring the mixture continuously to avoid any lumps. Add ghee from the sides and cook till the mixture is dry. Add saffron milk and cardamom powder. Mix well and switch off the flame. Keep it aside to cool. Divide the dough into equal size balls. Take one ball at a time and roll out into thick circles. Place the filling in the center of the rolled dough. Bring the edges of the rolled dough together to enclose the filling. Keep this stuffed dough aside for few minutes. Do the same with remaining dough and filling. Now dust the rolling board with wheat flour and roll the stuffed dough gently as you would do for any parathas. Place it on hot griddle and fry it both sides on medium flame [apply ghee while flipping on sides]. Serve them hot with some more ghee ;). Cool the rest and store them in airtight containers. 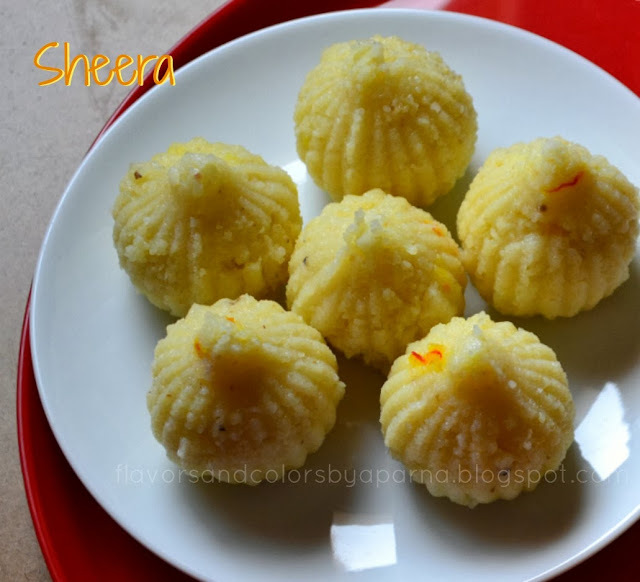 The leftover sheera was moulded into modak shapes and relished by all of us. 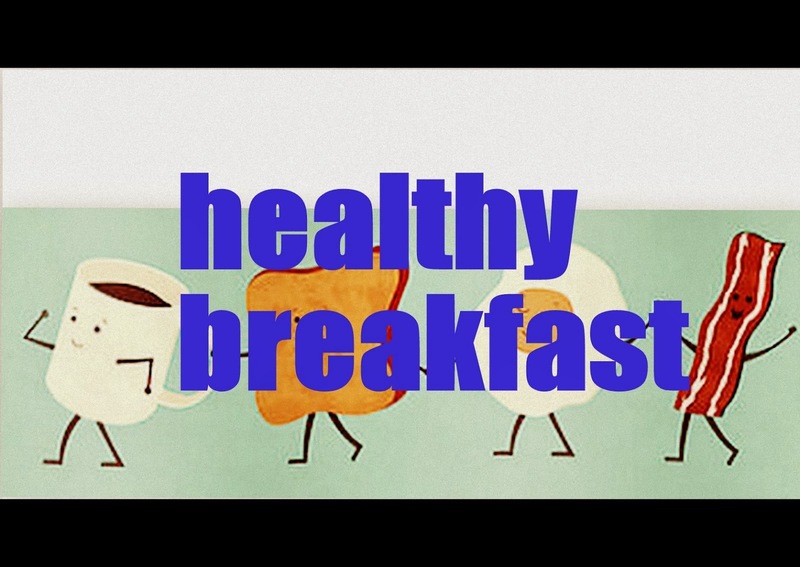 A very healthy and unique recipe. Thanks for sharing it to my event. Looking for more yummy recipes like this.